Great photos! 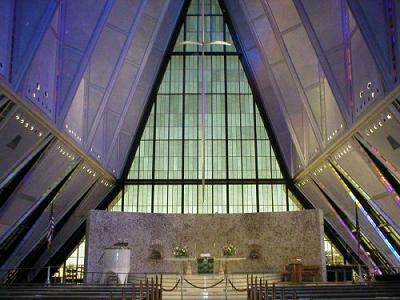 The Cadet Chapel is simply amazing! I have to agree with those chiming in on the chapel. It's a beauty. Gorgeous pictures Wendy! I love how blue to sky is... makes me want to be there right now. When we went to Colorado last July, we drove right by the academy! I knew we should have stopped. 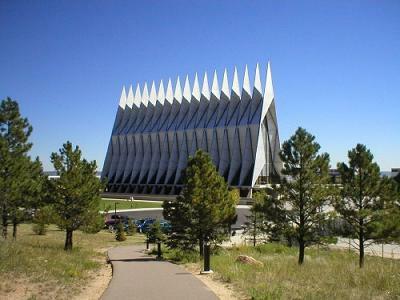 The Cadet Chapel photo is gorgeous!!! Nice! I love the architecture! Great photos, Wendy! I love the architecture. These photos are really, really great, Wendy. I like the composition. Great series of photos, Wendy! Thank you all for your kind comments! 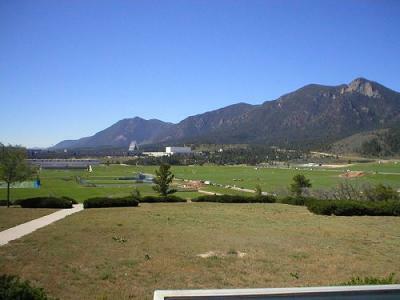 Hubby and I couldn't help but stop off at the Air Force Academy while we were driving through Colorado. We had a nice visit there. These photos are wonderful. And that chapel! What a neat place! That's a remarkable shot of the chapel. Thank you everyone! Isn't that blue sky great? I can see why that would be one of his favorite photos of you, Terri!